While buying cycles vary depending on the type of purchase and the purchaser, the sales cycle has fundamental steps. All sales are personal. People buy from those they trust and respect. That’s why all successful sales cycles begin with building rapport with the buyer or the whole purchasing team in complex sales. Most purchases are some form of repeat buying. The challenge for the sales person in the second step is to find or create a reason to change purchase behavior from a competitor to you. For any sales cycle to conclude successfully, the buyer must have the budget to pay for the purchase. Before investing time make sure the buyer can afford the product or service. Sales people who deal with the decision maker or the whole decision making team are successful in winning the business. At this point in the sales cycle when you have identified a problem you can solve, verified the budget is sufficient and are dealing with the decision maker, the buyer is qualified. When sales people and the decision maker agree on the problem to be solved and understand the budget, the next step is to close the sale. At this point the sales person has all they need to make a presentation or proposal to win the work. The best sales people get a commitment from the decision maker to buy if they like the proposal or if it doesn’t meet their needs to explain why. So the next step in the sales cycle is to present your solution and ask for the order. When the buyer accepts your proposal, thank them and set about performing the work. Should your proposal not be accepted, understand the objections and work to overcome them. Once you have the award, your company needs to perform. The post sale work in the sales cycle is important to keeping the relationship going for future sales. The best sales people are involved in monitoring the fulfillment process. There are three possible outcomes for each sale: the moment of truth where the customer expectations are met. The moment of misery when performance fails to meet expectations. The most preferred outcome is the moment of magic when expectations are exceeded. Should there be a moment of misery the great salespeople work hard to convert it to a moment of truth or maybe even a moment of magic. Other post sale activities are to ask for referrals to other potential customers and to begin the sales cycle for the next sale. Each sale is unique in some way. The best sales people understand how the buyer wants to be sold and fits his sales cycle to meet the buyer’s buying cycle. For complex sales with long buying cycles and many players on both teams, the sales person needs to be the leader of the process. He needs to make changes in sales cycle strategy to win the order. 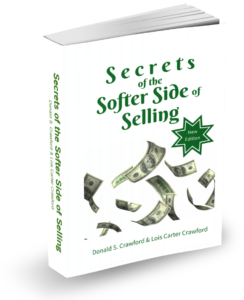 In low value, simple sales, great sales people drive the sales cycle to their benefit in closing orders. 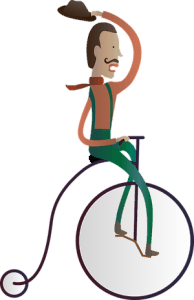 Sales cycles may have flexibility but must include all the elements for successful selling.